Roughly two thirds of US and Canadian households are now outfitted with wireless Internet, according to a study by Strategy Analytics. The outfit reports that 439 million households worldwide (or about 25%) had Wi-Fi installed at the end of 2011, and that is expected to hit nearly 800 million homes (or about 42%) by 2016. As is often the case with Broadband-related studies, South Korea occupied the top of Strategy Analytics' chart with a Wi-Fi penetration of 80.3% last year. The UK trailed with 73.3%, Germany was third at 71.7%, France was 0.1% behind at 71.6% and Japan rounded out the top five nations with a penetration rate of 68.4%. The US placed eighth on the list behind Canada and Italy with 61.0%, 61.8% and 67.8% penetration, while Spain and Australia held ninth and tenth place with 57.1% and 53.8%. Penetration rates drop fast from there, with India, Brazil, China, Russia, Poland, Mexico, and the Czech Republic between 2.5% and 31.6%. Strategy Analytics notes that although China's penetration was only at 21.8% in 2011, it will become the main growth driver in the world's Wi-Fi home market over the next five years with another 110 million homes going wireless by 2016. Because of its large population, it already has the most Wi-Fi-equipped households. "As most broadband growth will come from Asia Pacific, the bulk of Wi-Fi household growth will also will take place in China, India and other emerging Asia Pacific countries. 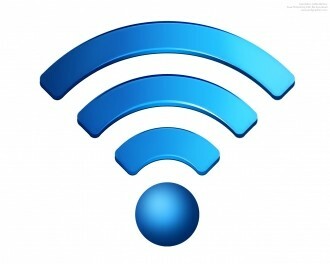 China alone will account for 31% of total Wi-Fi household growth over the next five years," said analyst Kantideep Thota. The full report costs $6,999.